The Gooniyandi people, part of the World’s oldest continous culture. Mimbi is at the heart of Gooniyandi country. 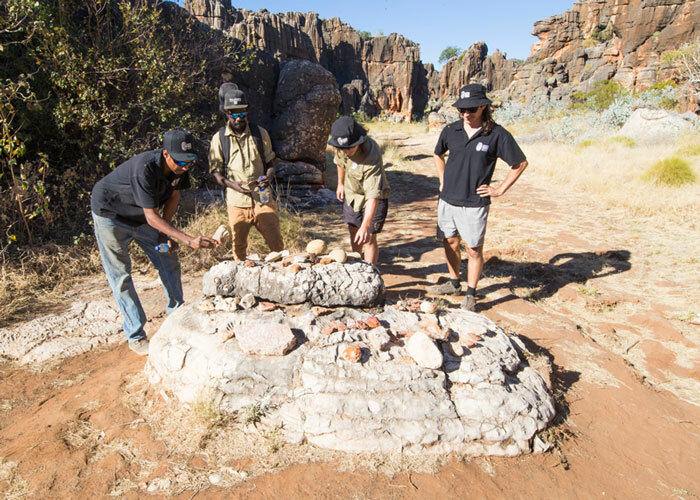 Radiocarbon dating from ancient fireplaces confirm that Aboriginal people have inhabited this part of the Kimberley for more than 40,000 years, making them part of the world’s oldest continous culture. As you move through the caves, ancient rock art and petroglyphs appear at random on the cave walls, further evidence of the Gooniyandi people’s use of the caves over thousands of years. Hear ancient Dreamtime stories of special significance to the Gooniyandi people. Stories that have been passed down through generations about how the caves and freshwater pools were created. 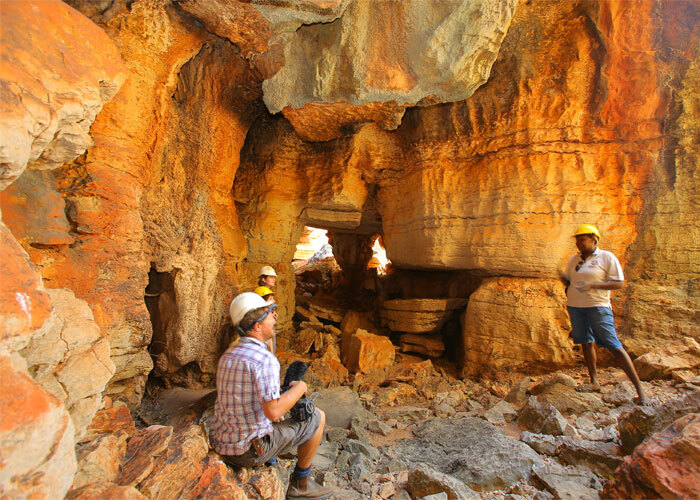 Your Gooniyandi guide will share their knowledge of the abundant native fauna and bush foods around the caves and give you the opportunity to sample local bushtucker. Learn about traditional bush medicines, some of which are still used by the Gooniyandi people today. Visit the birthing cave, a place used by Gooniyandi women in traditional times. The coolness of the cave with an overhang shading the clear water and inner chamber with a flat floor provided the perfect natural environment for childbirth. (for cultural reasons, only women are permitted to visit the birthing cave). 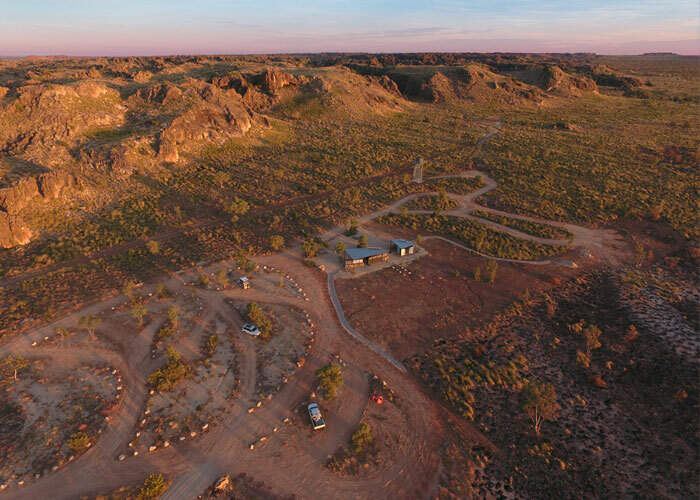 90km east of Fitzroy Crossing. Copyright 2018 | Mimbi Caves Tours.